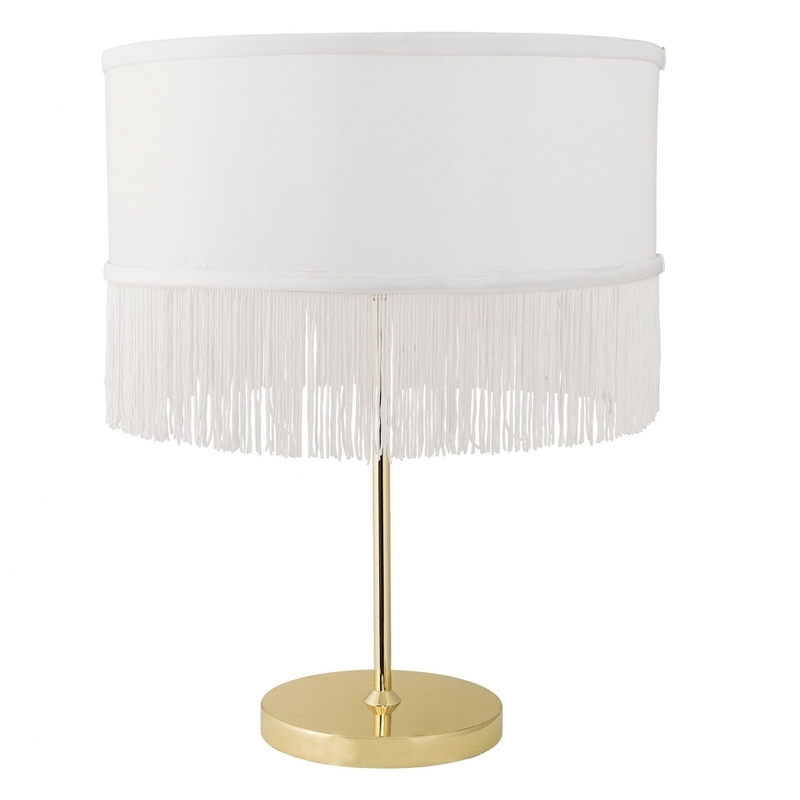 Be inspired by this chic Gold Table Lamp with White Fringe Lampshade from Bloomingville with its retro fringe detail. The gold base adds a touch of glamour, whilst the lampshade echoes the Victorian lamps of the past. This modern lamp is sleek and stylish and will suit many interiors as a bedside lamp or reading light. See more home accessories from our Bloomingville collection.